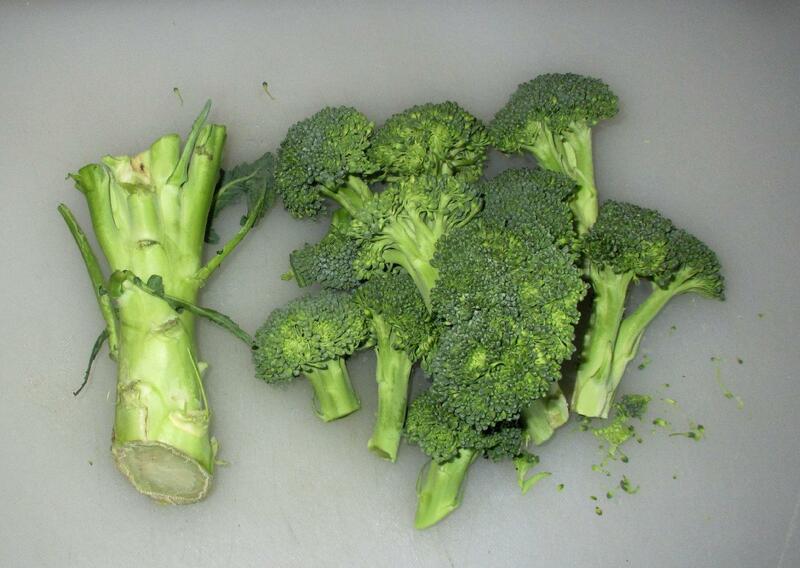 Broccoli stems have quite a thick skin on them, which is probably why most people have concluded that they are best discarded. 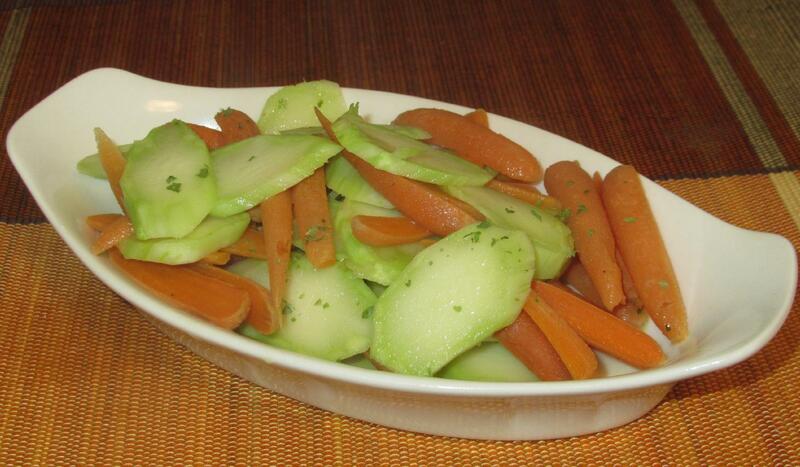 However, the skin can easily be removed with a vegetable peeler leaving a heart that is quite succulent and tasty. Even raw, slices of the stem have a lovely crisp texture a bit like a radish, and the taste has nice sweet notes like freshly picked snow-peas. I always think the upper stem (where it begins to form ‘branches’) is really pretty in cross section and thin slices of it look terrific in a simple stir-fry. 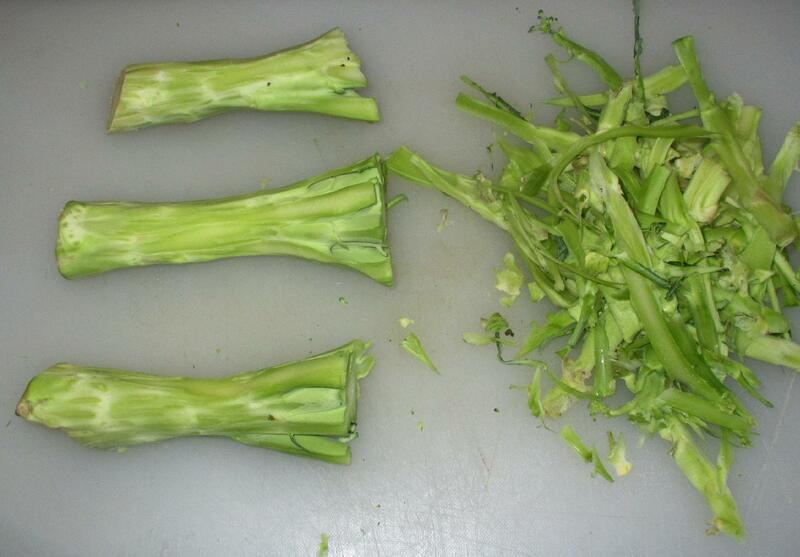 The rest of the stem can either be sliced lengthwise into sticks, or else cut into rounds or oblique ovals. 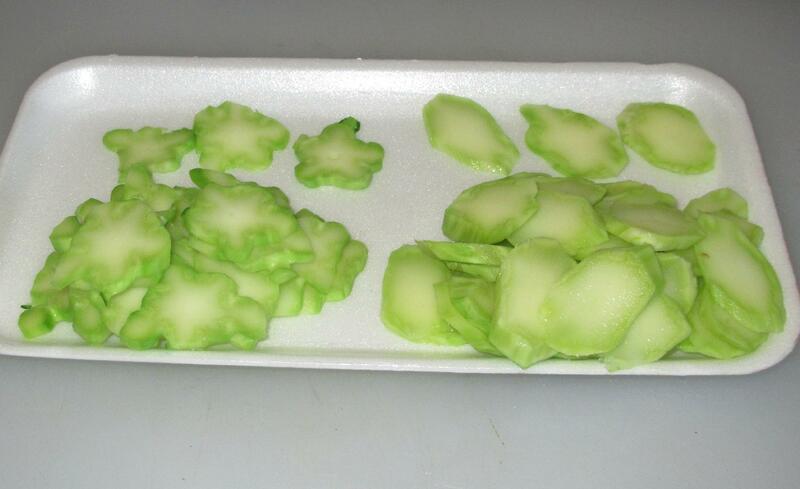 I find that blanching slices briefly in salted water makes the green stand out very nicely against the lighter core. This is a good step if you plan to freeze the pieces for later, and it also has the added advantage of reducing the final cooking time. Thin slices, for example, need only be sautéed for a few seconds to be at their best. I most commonly use the stems in stir-fries, but they are great in soups and salads as well. Indeed, you can basically use them anywhere you might use, say, celery, or bamboo shoot, for example. Above, I have braised carrot and broccoli with butter and a little chicken stock to make a nice accompaniment to a pork roast. My younger son is with you — he prefers the stems (though he’s three, so “prefer” is a diplomatic way of putting it); luckily, his brother likes the tops! This was such a welcomed entry to my reading today, for I have quietly, even secretly, utilized these in my cooking. 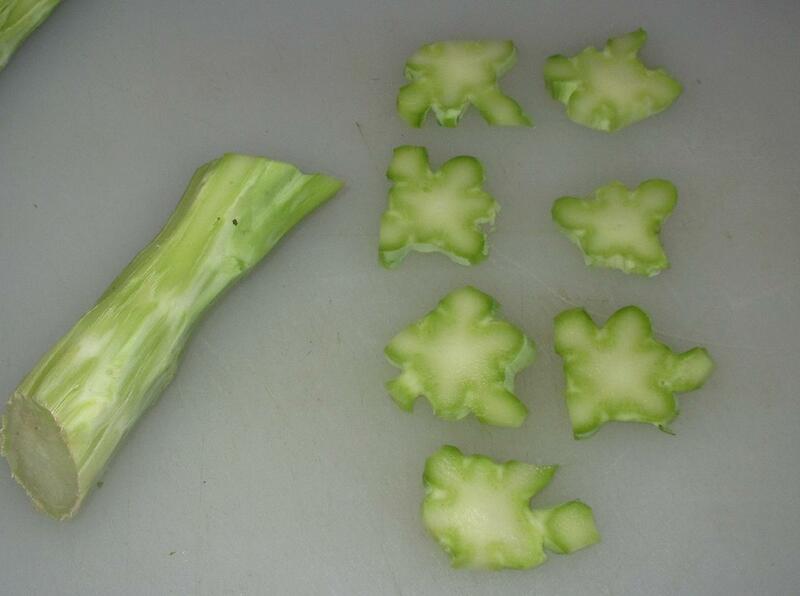 I found that after preparing the florets for dishes, I was left with so much of the cruciferae on my cutting board that I could not bear to waste, I would play, cutting the bases into cross-sections just like you describe. They always fascinated me– the funny abstract shapes, reminiscent of planed pieces of burlwood from the Big Sur coastline in California. As you mentioned, it is so easy to take your paring knife and strip away the woodiness of the surface layers to get to the heart. Unlike you, I never blanched intending to put in the freezer, but would secretly eat them on the spot, sometimes dipping into mayo, sometimes not, while waiting for the rest of the meal to simmer or roast.. The stems are lovely! I peel them and eat them raw while preparing dinner…or if a lucky rabbit is around, I may share the stems with him. He prefers the stems over the florets. Smart rabbit…. That sounds good …. brine pickling might be nice too. I never thought of pickling them at all. A number of people I know, my mother included, would eat the broccoli stem but not the florets, found out it is a texture thing. I’m torn! I’m thrilled to learn that the stem is not only edible, but really tasty. However, to learn of how wasteful I’ve been, and for years, makes me cringe! Thanks for a valuable piece of information.